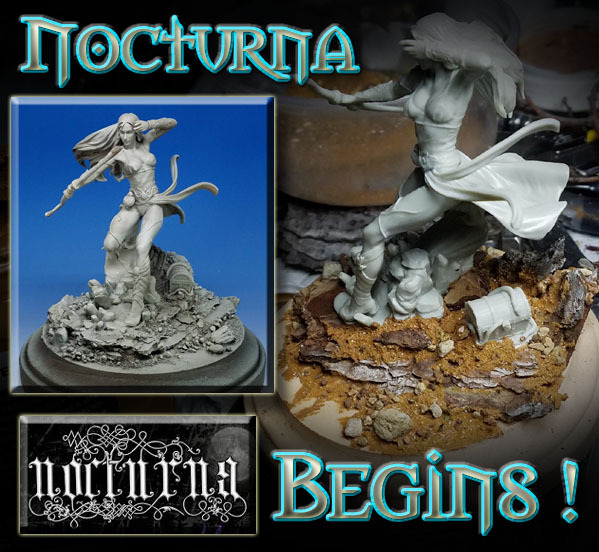 I was very happy to add a Nocturna Miniatures pledge to the Patreon Page last month! 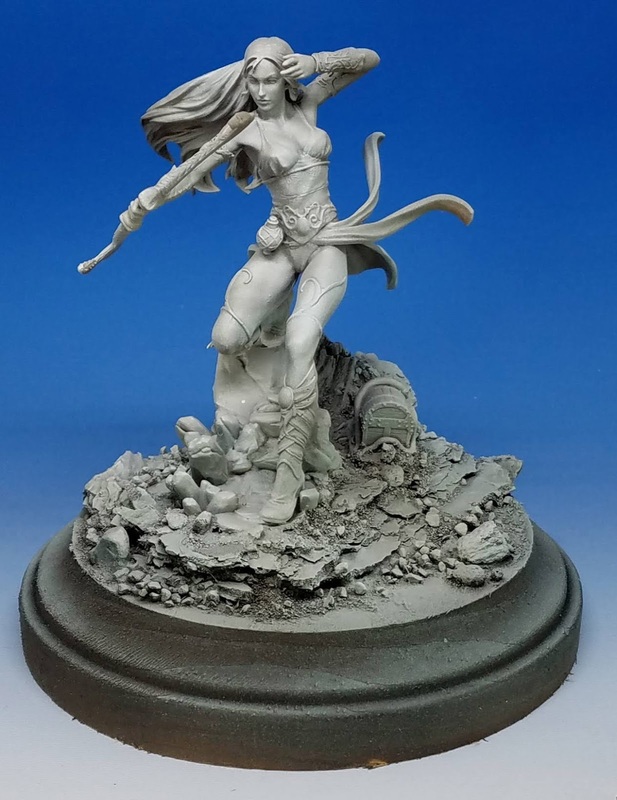 I love those miniatures, and they are my favorite large scale figures to work with. 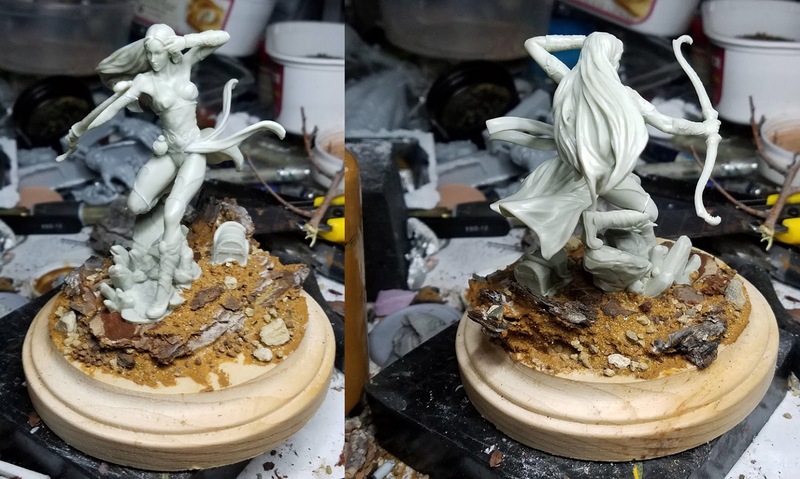 For the first Nocturna miniature that was officially part of the Patreon pledge structure, I needed to create a decent base. 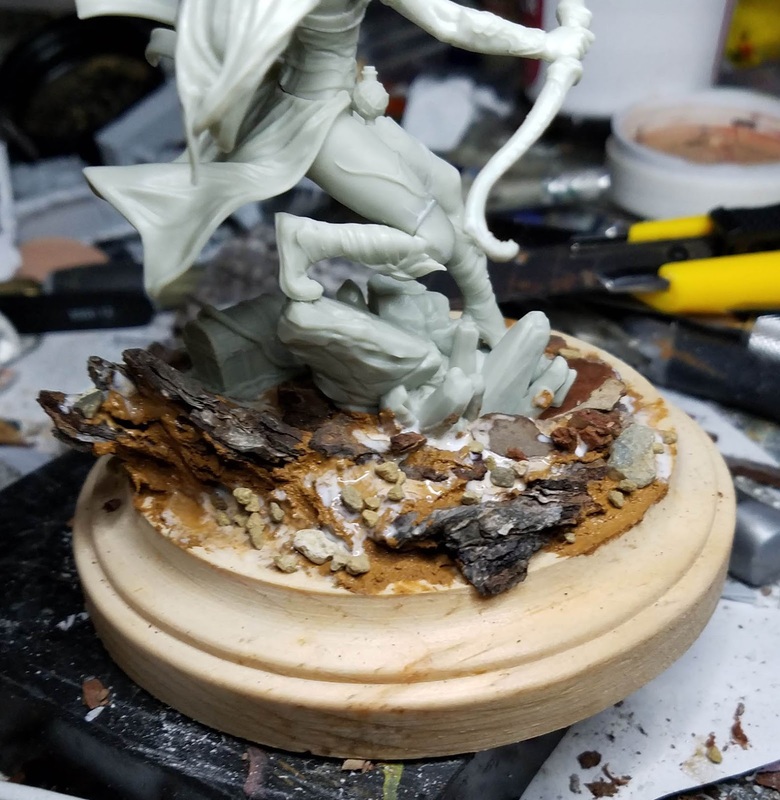 This would create more of an "environment" around the figure, like a vignette diorama. I chose the bark as my primary material due to the way it matched the "slate" look of the stones on the resin base. 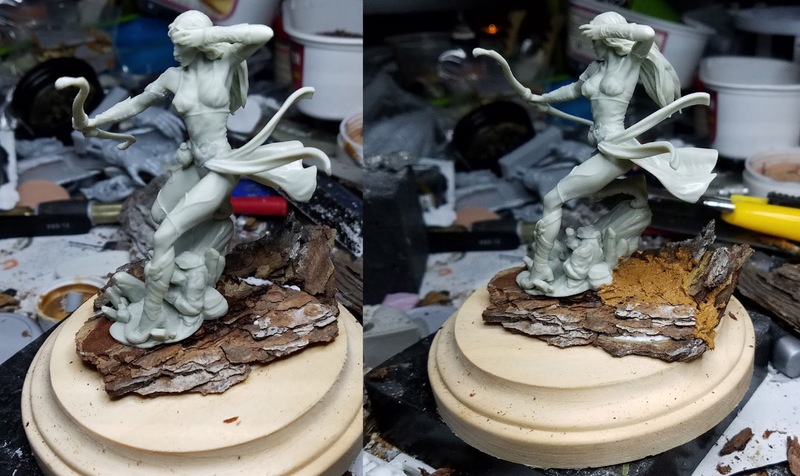 It was a faster way to extend that partial base than using apoxy sculpt to physically sculpt it all. I will probably do that on a future piece, just to show how that works. 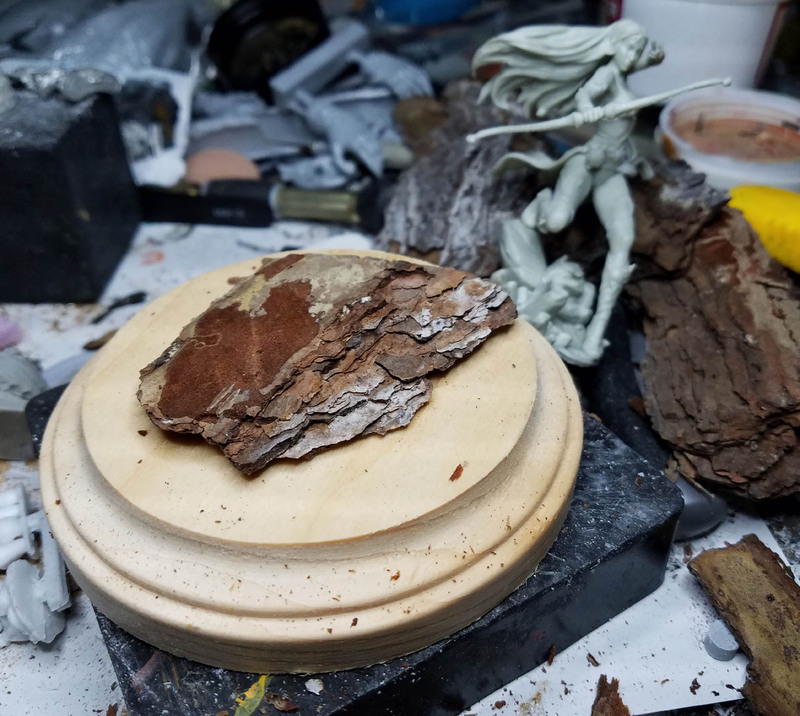 I was able to shave down a few pieces of the bark to create some upright and angled pieces to mirror those on the resin base. It took a few layers placed around it to make it match a bit better. 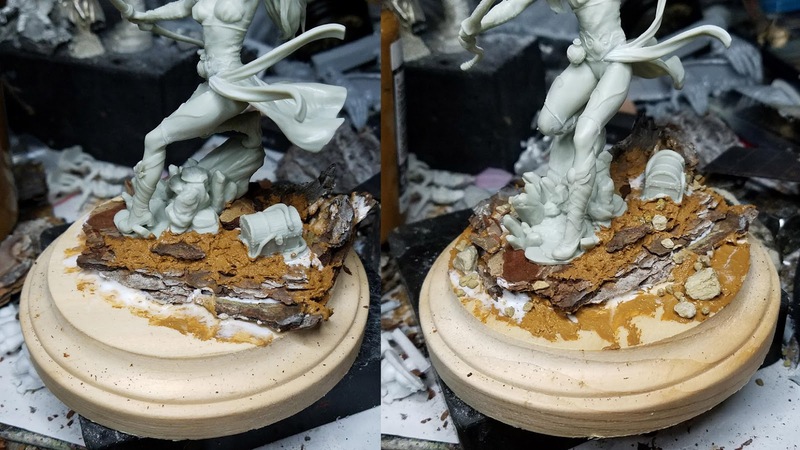 As usual, oxide paste (in this case a brownish version of it) was used as "mortar" between the layers, and as a way to build up some texture as well. If you add some wood glue into the mix, you can place larger rocks and rough gravel too. This gives you a better view of that upright section of bark. You can see that I made a "cascade" or progressively smaller rocks and boulders moving down the the wooden plaque. I could drop in my finer gravel and sand after those heavier elements were in place. Those finer layers of sand and gravel help the bigger sections of bark and rock to stand out, but keeps them settled into the environment, as opposed to simply sitting on top. 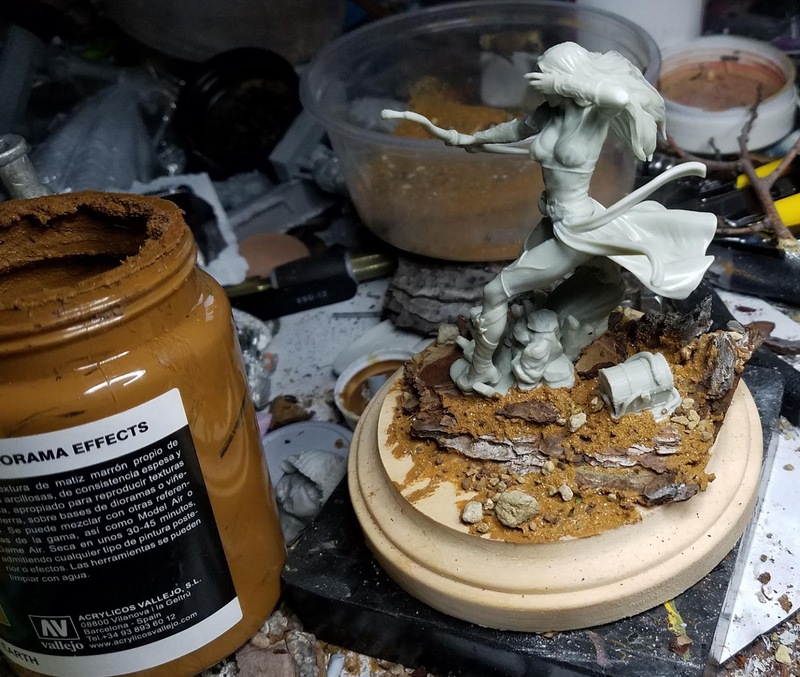 Using the Oxide paste, glue, sand and gravel in this way helps to blend that smaller resin base into the entire larger base. Ready for priming! She now has a very solid base, and I look forward to dressing that up with several different kinds of flock, tufts, fallen leaves and maybe even a few vines!! Here's the shaded primer, done in Stynlrez with the Badger Airbrush. I will be using oils to paint this, so it will be a lot of fun!